Tennis is in decline and becomes more and more unattractive as a career choice. Increasing prize money is only half the battle. 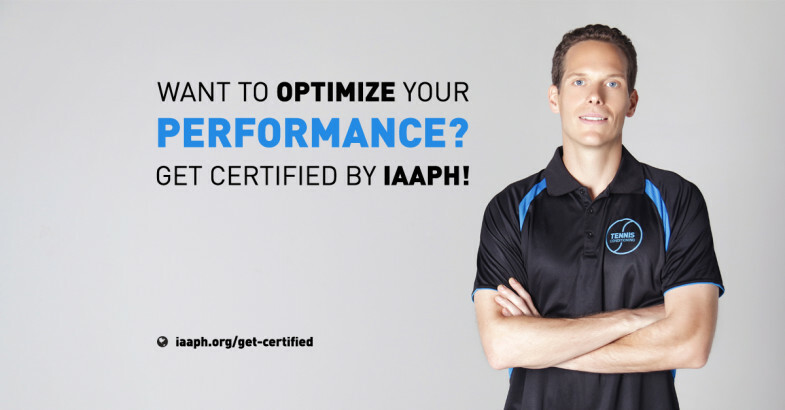 From a rational career-planning standpoint it makes no sense to play tennis because ROI (return on investment) is generally insignificant since the likelihood of financial success is minimal. Let’s use an analogy: one could argue if you want to become a millionaire then simply play the lottery. Do people become millionaires playing the lottery? Yes! Is it very likely? No! On the one hand the prize money distribution, especially for lower tier tournaments, needs to be amended so that it makes sense for people to pursue tennis as a career. Phased prize money increase for ITF tennis tournaments has been announced yet the amendments may not be enough. 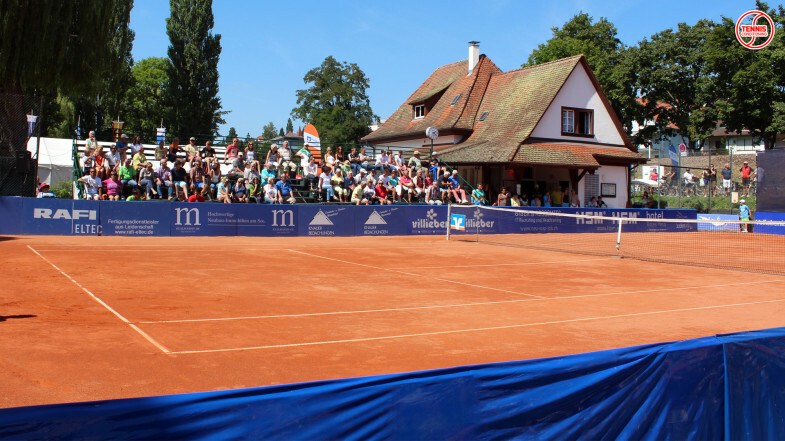 In order to raise the money and make things more interesting for sponsors many tennis tournaments need to become much more appealing to the audience since a larger audience leads to higher advertising revenues etc. But when you go to many tournaments, especially lower tier (Futures) or Junior events, then the main problem becomes evident: watching tennis is literally painful! Let’s use the Orange Bowl International Tennis Championships as an example. 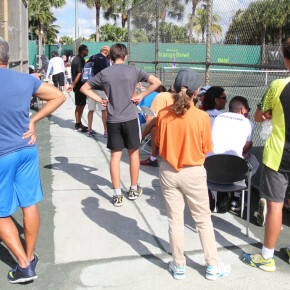 It’s a grade A event, which makes it one of the top tournaments on the Junior tour, it is sanctioned by the USTA, one is the richest tennis federations worldwide, yet the audience has to suffer! Seating is so horrible and uncomfortable that you must be a coach or parent to watch the entire match. 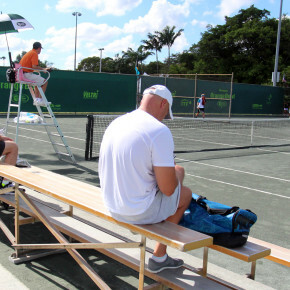 Since the tournament is in sunny Florida proper sun – screening is a must if you want to enjoy watching matches. One would assume that a grade A event has proper planning and execution. In reality the audience needs to bring their own seating and sun – screening if they want to watch matches somewhat comfortably. That’s awesome! Who in their right mind would go out to watch tennis, especially the more seasoned generation that has time and money if you need to pop pills or see your doctor the following day due to lower back pain? Where is the effort to make it a nice event that the audience can actually enjoy? It can’t be done? Nonsense! 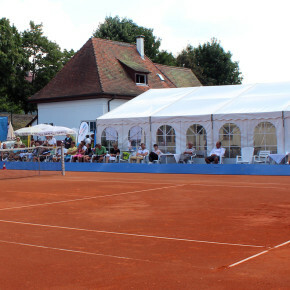 There are tournaments that are simply great such as the Ueberlingen Open, a $10,000 Future event in Germany. 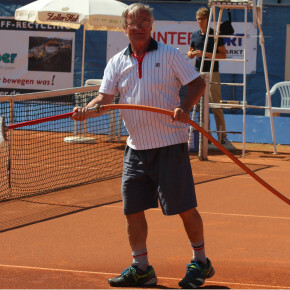 The tournament director, Markus Duffner, with the aid of local volunteer workers put in the time and effort to make it a great event for the players and audience alike. 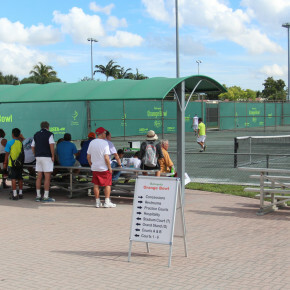 For example, courts are in great shape, plenty of comfortable seating is available to watch matches, huge tent with professional catering, daily events (e.g. fashion show, poker night, meet the players, etc), kids day, etc. In my opinion that’s the way to go: either you do it right all the way or don’t do it at all! These unprofessionally run tournaments do more harm than good to the sport of tennis – nobody enjoys them: neither the players, nor the audience or sponsors! Click on the picture to go to our YouTube channel!